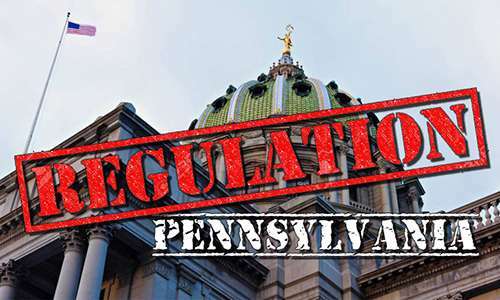 Online poker and other forms of Internet-based gambling are back on the legislative slate in Pennsylvania, again making the state the foremost battleground in the ongoing search for the fourth US state to officially legalize and regulate the online game. The latest bill, House Bill 392 (HB 392), is sponsored by PA State Rep. George Dunbar and co-sponsored by State Rep. Rosita Youngblood. Both Dunbar and Youngblood have supported pro-online gaming measures in previous years, and their effort to put forth the bill was announced in a House memorandum last week. According to that statement from Dunbar and Youngblood, the bill seeks to renew the “bipartisan effort” from 2016 that ultimately fell short of its mark, when elements of this bill and a somewhat similar PA Senate version championed by Sen. John Payne fell short of passage. Require uniform advertisement of the problem gaming assistance number. The local share assessment issue remains an ever-present thorn in the side of Pennsylvania’s state-level politicians. Previously, the state’s casinos had been required to pay that $10 million fee, until a state court ruled the form of the mandate to be unconstitutional. To date, Pennsylvania has not found a replacement legislative remedy that would likely survive a similar curt challenge, even though most of the state’s casinos are voluntarily paying the assessment, which redistributes some of the casinos’ income elsewhere across the state. The state also remains somewhat desperate to plug a gaping hole in its annual budget which was already supposed to have been filled with tax revenue generated from just this — state-licensed online gaming. Since Pennsylvania is required by law to operate under a balanced budget, the unexpected budget hole left by last year’s failures looms large, and serves as an impetus for Pennsylvania to get something done this time around. Dunbar’s and Youngblood’s HB 392 does not include one of the competing approaches championed by another portion of the state’s gambling interests. That faction, which hoped to see video slots legalized in the state’s bars, doesn’t get much out of SB 392. Whether that leads to another round of internal battling among the state’s pro-gambling forces — as happened last year — remains to be seen. At least two Senate bills on the same topic are expected to be introduced in the near future. Last month, both Sen. Kim Ward (R-Hempfield) and Sen. Jay Costa (D-Forest Hills) announced pending bills. Costa also issued a Senate memorandum about the contents of his yet-to-be-dropped bill, which shows it to be largely similar — and possible this session’s companion measure — to Dunbar’s and Youngblood’s HB 392. Costa’s as-yet-unsubmitted bill will also seek to reenact the $10 million tax levied against the state’s largest casinos, and like HB 392, will allow for slot-style, interactive gambling at the state’s two largest airports, in Philadelphia and Pittsburgh. However, like HB 392, the bill does not cater to the Commonwealth’s bar and tavern interests, who are also looking for a slice of the pie should Pennsylvania forge ahead with the gambling expansion. Dunbar’s and Youngblood’s HB 392 measure was assigned to PA’s House Gaming Oversight Committee earlier today. 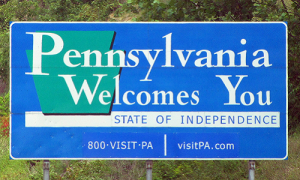 It’s the first committee stop for the first of several bills in what may be the pivotal year for Pennsylvania’s online gambling hopes.